Our family owned business has built a close relationship with our customers and the local community over the years, and we're delighted that you chose to recognize us in this way! We will continue to provide you with the Quality and Value you've come to expect! 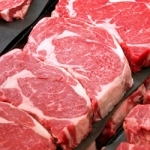 We know you have choices when you shop for meat and appreciate you choosing us. We have full time and part time posistions available. Check out what's available and apply today. Did you know we stock a limited supply of wild game? Ground bison, ground wild boar, ground venison, ground elk and bison strips. Stop by or call for more info. 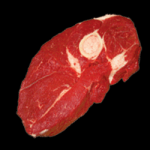 Prized for its rich flavor and tenderness, this is a great cut of beef for steaks or roasts. Per lb. Sure to go fast at this price, get 'em while they last! 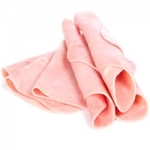 Lip-smacking good, brisket is prized for it's deep, rich beef flavor. It does best with long, slow cooking methods. Average Weight 8 lbs. Price per lb. Enjoy the extra flavor of the Eye of Round for your next roast dinner. 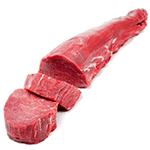 Ask us to us cut it for beef stew, cube steaks, roast and ground beef! Per lb. 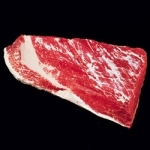 There is no more tender section of beef than this. Per lb. While they last! 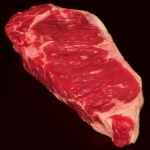 The most popular steak we carry! Delicious grilled as steaks or roasted and carved. Boneless Per lb. 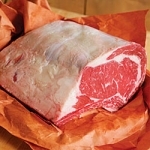 What's more traditional than a delicious standing rib roast? 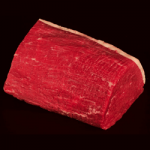 Enjoy this perfect, succulent cut of meat cooked rare. America's favorite! 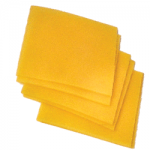 Melts easily and tastes great on a sandwich or burger. Priced per lb. Lesser amounts priced higher. 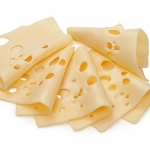 With a deliciously unique flavor, Swiss cheese is great for many applications. Priced by the pound. Lesser amounts priced higher. 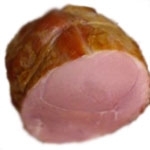 Slow baked and seasoned to perfection, you're sure to love our baked ham. Per lb. where can make shopping easier. We've created a special portal just for you! We think you'll enjoy the new tools and user friendly interface. Being our customer has never been easier!